'You never regret a swim' - Well that is what we would say! We are fortunate to have a plethora of swimming options at Derby... Some close to our accommodation in the heart of the Blue Derby Mountain Bike Trails network, and others we ride by as part of our three days together. As a taster of the swimming options you may like to make a splash in, see our favourites below. We first lay eyes on the beautiful Cascade Valley via our day 1 lunch spot. The valley itself, still holding signs of the massive scouring event of the treacherous 1929 dam burst, now provides a calm setting for unwinding. Further up the valley (and picturesque Cascade River), the Cascade Dam holds a large body of water, and allows for consistent flow of the river for most of the year, with the exception of the dam spillway overflowing following consistent heavy rain events. Our picnic spot sits right next to this flowing beauty. After a morning of riding, taking off your shoes and slipping them in to the crisp tannin water is incredibly inviting. At the right time of year, you can also find pools to lay back in as you take in the towering rock walls of the valley around you. Some of our guests have even had trout nibble at their feet while they do so! Situated right next to the green trail of Axehead, this powering waterfall makes the perfect mid ride swim. Again, the Cascade River provides the lovely year round flow. The dark tannin water is accentuated by it's deeper pools and if you are brave enough you can even shower in the fall itself. 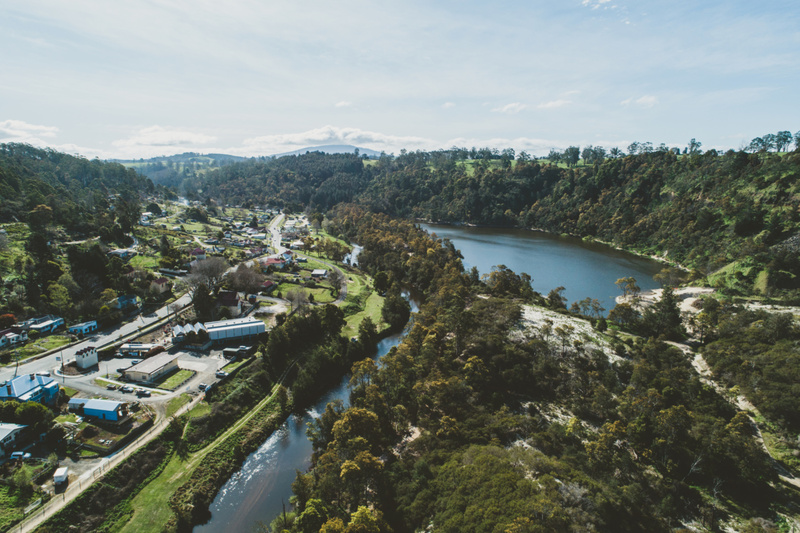 The gorgeous town of Derby sits rights next to the stunning Ringarooma River. 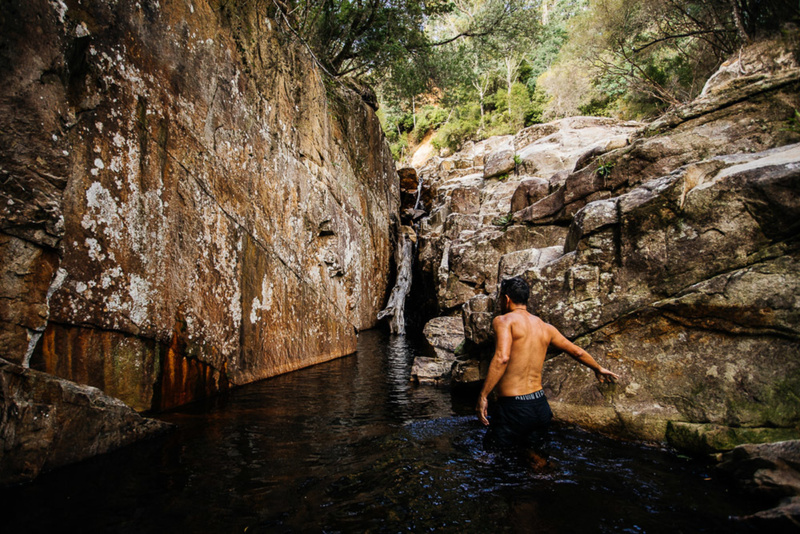 Campers can be found enjoying the Ringarooma River any time of the day, with its many little swimming pools and rapids inviting visitors and locals alike as it makes its way through the town. 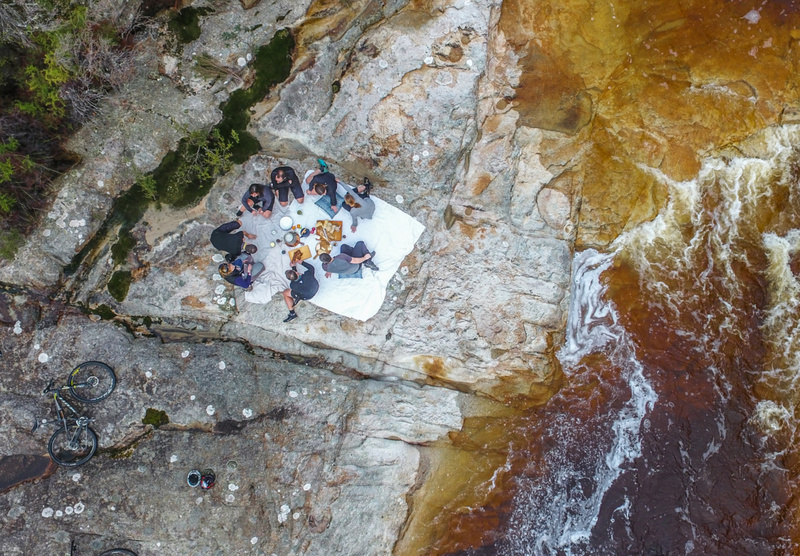 If you are lucky, you may even spot the platypus and freshwater crayfish we've seen in this swimming spot! A newer addition to the Blue Derby Mountain Bike Trails network, you'll find Lake Derby by crossing the suspension bridge from the Pump Track in Derby. The lake itself is actually the historic mining bowl, so who knows how deep it is at present? Now home to an abundance of bird species, the Lake Derby trail (Derby's easiest trail), and of course an incredible spot to swim in the fresh water. We think it is best to jump in when you are hot and sweaty after riding down Return to Sender, Kingswall or the iconic Trouty trail!